Business Credit 102: How To Establish It, is our topic on The Core Business Show with Tim Jacquet. Business Credit: This show will talk about the how to and importance of establishing business early in your business. We will talk about how to establish business credit profiles on the top four business credit bureaus - DNB, Experian, Equifax, and PayNet and where to go to get starter account to build your business credit. This show will be conducted in three show. Part I - Beginning, Part II- Immediate Level and Part III Advance. 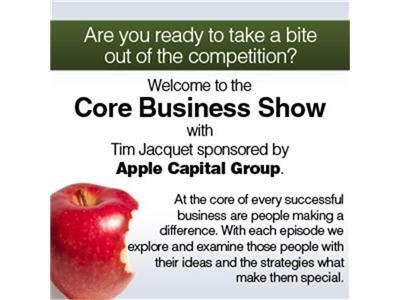 The Core Business Show with Tim Jacquet is sponsored by Apple Capital Group, Inc., is a commercial finance company that specialize in asset based loan program in the US and Canada.